Ribs are simply a barbecue favorite. 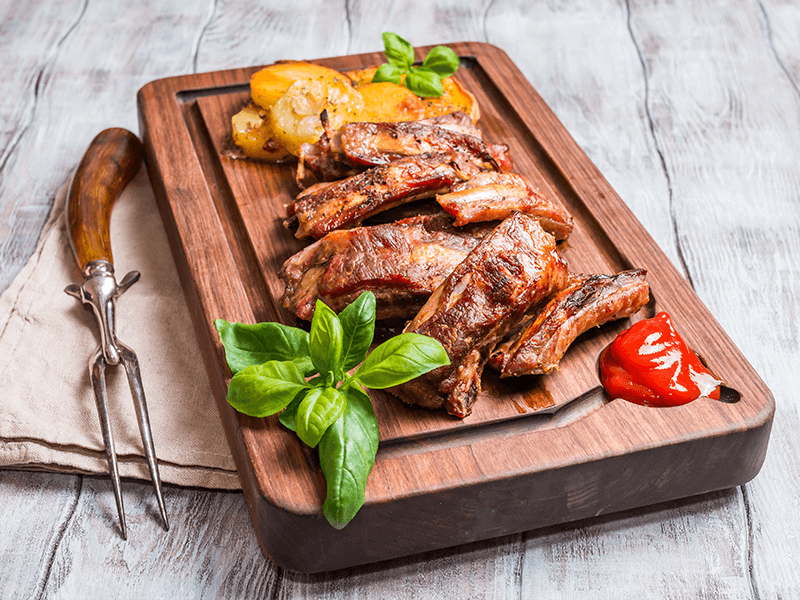 They are the perfect messy food, and if cooked and seasoned to perfection, ribs are nearly impossible to resist (even for the most dedicated vegetarians). In fact, there is probably no bigger celebration than when McDonald’s announces the release of the McRib each year. And, the service industry has caught up with the demand too, as 41% of family dining and 40% of casual dining restaurants serve BBQ Pork Ribs. It’s safe to say that we are all a little obsessed. Have a sudden craving for some sticky, finger lickin’ ribs? Come on into Adam’s TapHouse and Grille. We take the time to slow cook our ribs and finish them in our secret recipe sauce. The result? Tender, juicy, fall-off-the-bone ribs. Order up a platter and a delicious cold beer. A perfect meal anytime!